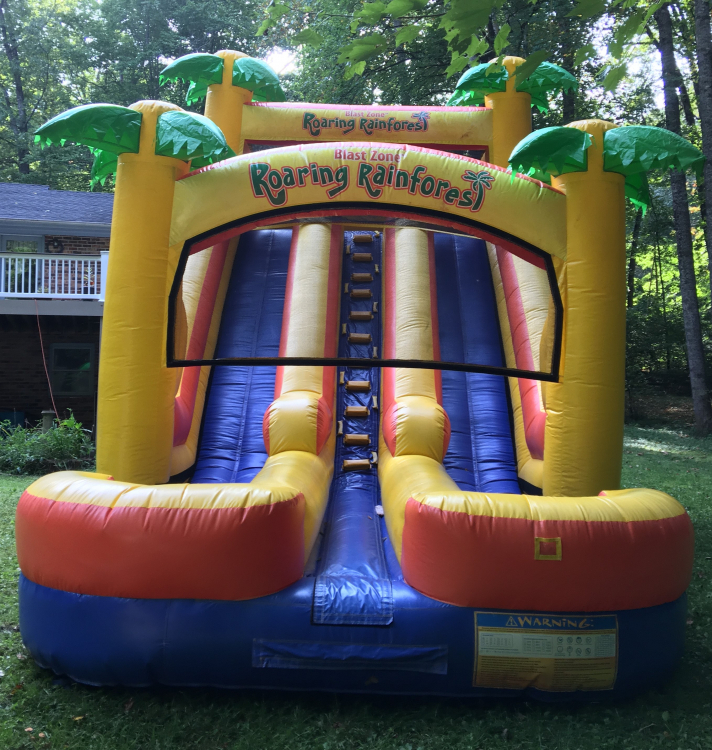 The Roaring Rain Forest 18' is sure to be a hit at your next event. This monster double slide will make a serious impression at 18' tall with its tropical palm trees and bright colors. Participants can climb up 18 feet for a sleek and fast drop to the cushioned bottom. 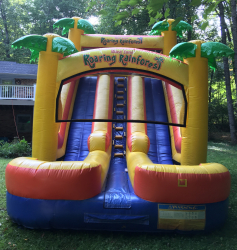 This slide is sure to bring hours of FUN to your party!